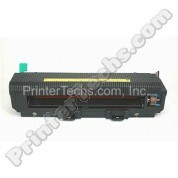 C4127X JUMBO HP LaserJet 4000 , 4050 series PrinterTechs compatible toner. Estimated page yield is 15,000 pages at 5% coverage. 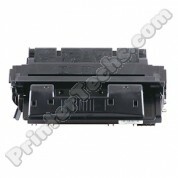 C4127X MICR toner compatible for check printing on HP LaserJet 4000, 4050. Estimated page yield is 10,000 pages at 5% coverage. 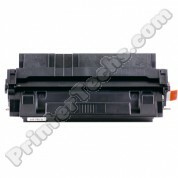 C4129X HP LaserJet 5000, 5100 series compatible toner . Estimated page yield is 10,000 pages at 5% coverage. 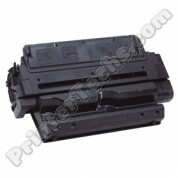 C4149A (Black) HP Color LaserJet 8500, 8550 compatible toner cartridge. Estimated page yield is 170,000 pages at 5% coverage. C4150A (Cyan) HP Color LaserJet 8500, 8550 compatible toner cartridge. Estimated page yield is 8,500 pages at 5% coverage. C4152A (Yellow) HP Color LaserJet 8500, 8550 compatible toner cartridge. Estimated page yield is 8,500 pages at 5% coverage. C4182X HP LaserJet 8100, 8150 series Premium Line compatible toner. Estimated page yield is 20,000 pages at 5% coverage. Made in North America.